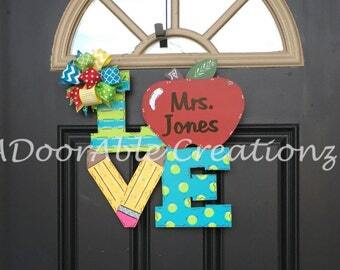 Give your favorite teacher the perfect addition to their classroom. 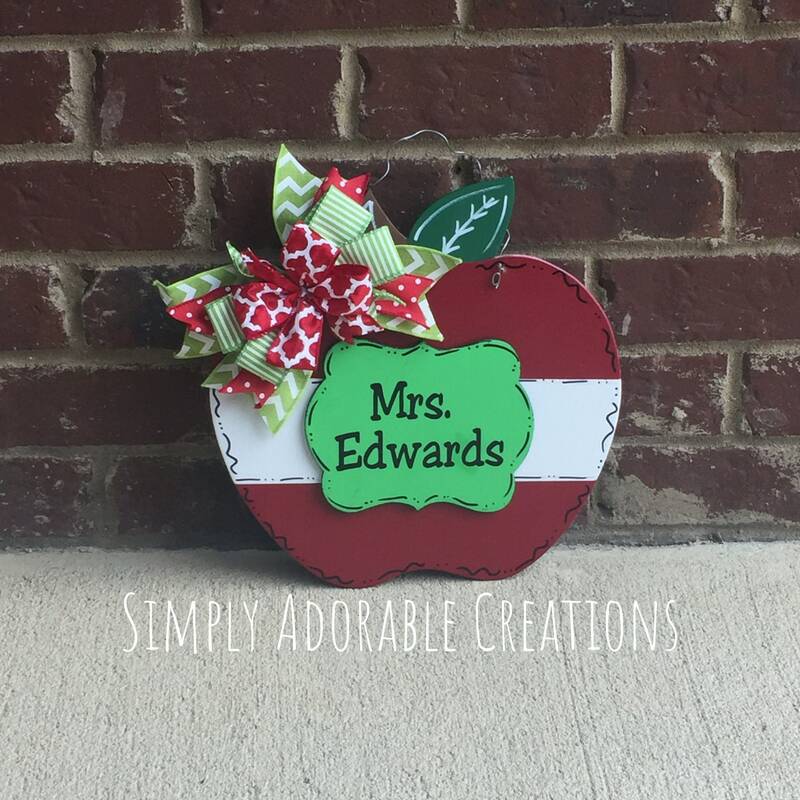 The teacher Apple is hand painted and personalized with the name of your favorite teacher. The apple can be handpainted in any color combination. A cordinated bow is included. 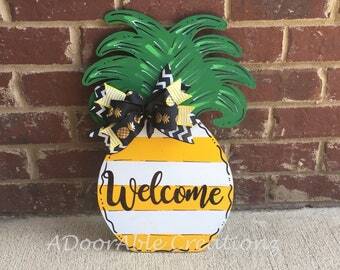 When ordering please indicate the base color and the color for the banner in the middle of the apple. 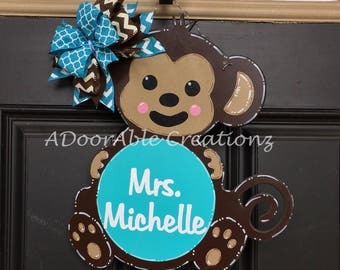 A door hanger is an awesome Christmas gift, teacher appreciation gift, or end of the school year gift to say thank you to a wonderful teacher! Check the shipping details section of the listing for current processing times. Colors can be changed. Please indicate this in the notes of the order. This is an excellent seller and cooperated with me very well. 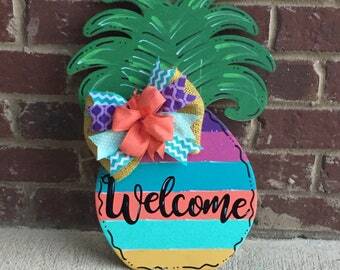 Products are fantastic and ship super fast!